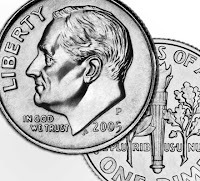 “Life changes on a dime” is a phrase that is often used when something awful happens, but it is equally true for the positively lucky and wonderful kinds of changes in life that can happen so fast. Teachers’ meetings in my school district started on Monday morning, and I wasn’t there because I’m still on a Leave of Absence. It was the saddest morning for me, not being part of that new beginning. Last year was such a difficult one for me, and I ended up taking a medical leave, starting in January, that lasted until the end of the school year. Knowing I couldn’t go back to the same situation that caused last year’s medical situation, and not having any other options at that time, I decided to apply for a Leave of Absence for this school year, also. So this afternoon, I went back to school, where my principal called an emergency staff meeting and announced that I was returning to the school, and my staff cheered. (That’s a feeling I’m going to hang on to forever!) Then it was an intense afternoon of organizing, moving furniture, and trying to put my new classroom together for a group of 2nd graders instead of 6th graders. But it all feels RIGHT, like it was meant to be! This is a wonderful gift from my school district (letting me rescind my Leave of Absence), and from my principal (going to bat for me). And I feel like the luckiest person in the world to have a job, a new wonderful team, and the opportunity once again to meet and fall in love with a group of kids. I’m going to be very busy for the next few weeks (that’s a major understatement). But I’m really excited about this change and about being back in school. I’m also a little bit in shock at how fast it all came together! Life can change on a dime, they say. This entry was posted in Life, Teaching on August 29, 2007 by Robin. Hope everything goes well. There is nothing like that feeling of getting ready for a new school year. I’m going in today to put up posters, before our first day on Tuesday. Good for you! I can’t wait to hear about your second-graders and their activities! But it all feels RIGHT, like it was meant to be! That’s wonderful! I hope you have a great year! What great news. I am now retired from a variety of jobs revolving around kids and could feel that same excitement and anxiety reading your blog. Second graders are so great. Robin, that’s wonderful news. I’m so glad this worked out for you. And what a great age group – second graders!!! How great it is when things that change on a dime are so right. As a retired second grade teacher I predict you’ll have a happy year. Those little second graders will love your stories. I’m excited for you. Congrats, Robin. I envy those second graders, and wish my daughter was one of them! Good for you. I’m so pleased that you got cheers (I’m sure they were much deserved) and a chance for a new perspective on teaching. Have a wonderful year!!! How exciting!! I’m thrilled for you and I wish you a wonderful school year. Congratulations Robin! That’s so great to hear 🙂 That will be a lucky bunch of second graders. Sounds like a very spontaneous twist of fate, but those are often the best moments in life. Hope it all goes well for you, I’m sure it will. Yay! Nymeth, thank you so much. It’s a complete change of gears for me, but I’m going to love it. Thank you, Donna. You’re right–I met about 2/3 of my class yesterday at the “Meet and Greet,” and they are the cutest!! Thanks, Raidergirl3, I hope your first day, first week, and year goes well, too! What grade level do you teach? Thanks, jenclair. It’s an uplifting change of pace for me, although I’ve talked about how much I love 6th grade. But I think I’m going to love 2nd grade equally, if not more. I’ll definitely be posting about some of our adventures. Thank you, Heather! It’s wonderful for me…a real opportunity, and I’m thrilled. Thanks, Tanabata. It does feel RIGHT, although I can add “overwhelming-at-the-moment” to that description. But it’s fun, and I’ve got lots of wonderful help getting ready on such short notice, and I’m so excited! Thank you, Julie. I’m glad to hear your view of 2nd graders. I’m a little nervous, but I think it will take about 5 minutes on Tuesday morning and I’ll be in love with teaching 2nd grade. Tara, thank you, too! It’s going to be a delight discovering the joys of this working with this age group. Thanks, Mom! I’ll be calling you for ideas, advice, and perspective on life in 2nd grade. I know how much you loved it, and I’m going to share that with my kids on the first day of school. Thanks, Melissa. That’s such a nice thing to say. I’d love to have her in here, especially because this is supposed to be such a nice grouping of children. Thanks, Matt. They ARE cute! It was so fun yesterday to meet some of them and realize how beautifully open and ready to learn they are at this age. I’m excited! Thanks for your kind words, Kay. It was heartwarming to receive such a lovely welcome back from my staff. This is exactly why I was in tears on Monday when I knew they were all back here and preparing for a new beginning. I wanted to be here with them, and I’m so grateful that I was healthy and able to return to the ranks. I know it will be a wonderful year for me because I have such a different perspective now on my work and on the “privilege” of working. It’ll wear off after awhile, and I’ll start complaining again, but it’s so nice while it lasts! Thanks, Chris. That’s a wonderful way to describe it: “A Spontaneous Twist of Fate.” And you’re right, those are the best moments. Thanks, Karen. I’m so happy it all worked out! You never know what will happen. The right thing always comes along when it is supposed to. Good luck. 2nd grade is SO cute. Robin, I am so very, very happy for you. And what a great way to describe it-changing on a dime. You’re so right that most of the time it refers to something bad and it shouldn’t! I really am looking forward to you sharing your adventures in second grade. Congratulations! What wonderful news! I found a dime today, so maybe things will change for me, too! Thanks, Nancy. I agree–I’m a firm believer in the idea that the right thing always comes along when it’s supposed to! Thanks so much, Nan. I’m really tired after this marathon week, but I’m just so excited. Can’t wait to meet these kids and start this adventure on Tuesday! Thanks, Maggie! Actually, I hadn’t signed up on Mr. Linky yet, so I just went to your blog and did it… I probably shouldn’t have tried to do it tonight (too tired) because I linked to my 3rd book read (I actually read 4!) instead of to my summary of the whole thing. Oh well…brain fog! Thanks to you, too, Gentle Reader. I’m so happy it all worked out. Would you please ask your son what his favorite Read Aloud was in his 2nd grade class? I’m still trying to decide what book to read to them first! Some advice from a young man that just finished that grade would be very much appreciated! Congratulations, Robin. Teaching second grade after a stint of middle school should make you feel that you’ve died and gone to heaven! Good luck in the new venture. I hope those second-graders are as wonderful as you deserve. I took a small medical leave last year (eight weeks) for a small foot surgery. It’s hard to be away, isn’t it, from a job we love? I’m so happy that you’re able to return with a different position. Thanks, SFP. I think you’re right that I will feel like I’ve died and gone to heaven. It’s going to be so fun to see all those excited little faces on Tuesday and enjoy their enthusiasm for school and learning. Jill, thank you! I met quite a few of them and their very nice parents (I had so many offers to help!) at our “Meet and Greet.” I think SFP is right…I’m going to feel like I’m in heaven! Thanks so much, Bellezza. I’m honored to be included on your sidebar list on your teaching blog! Yes, having to take some time away from teaching really clarified my feelings about it. I had to be out long enough to know that I really want to be there. That’s a gift at this stage of a career! And I’m delighted with the change. In this case, change is uplifting!